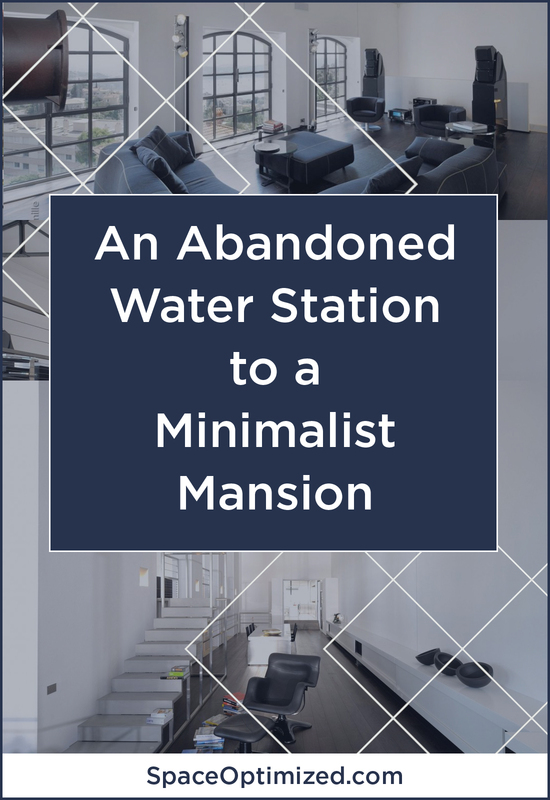 Belgian interior designer Bernadette Jacques transformed the abandoned structure into a minimalist mansion. 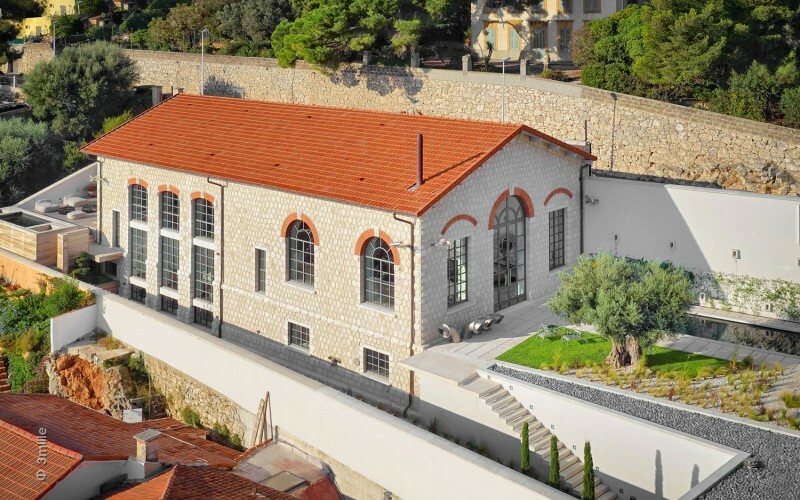 The dwelling looks picturesque on a sprawling Villefranche Sur Mer property. The 5,400-square-foot mansion boasts 3 bedrooms and 3-bathrooms. According to owner Philippe Tondeur, the transformation took 15 years to complete. From the outside, the structure looks like your average turn-of-the-century water cleaning station. 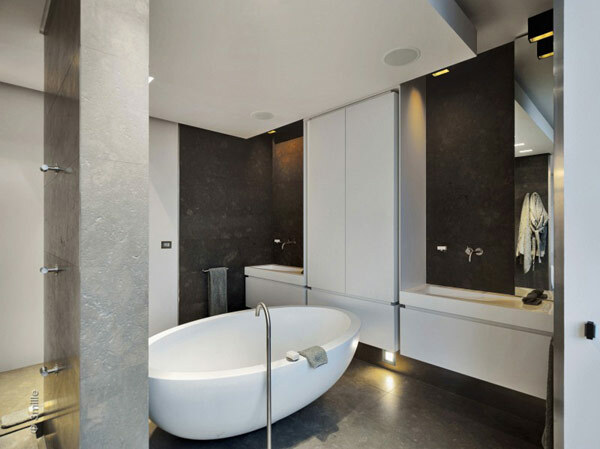 Inside, the multi-floor dwelling features modern, sleek, and elegant furnishings. 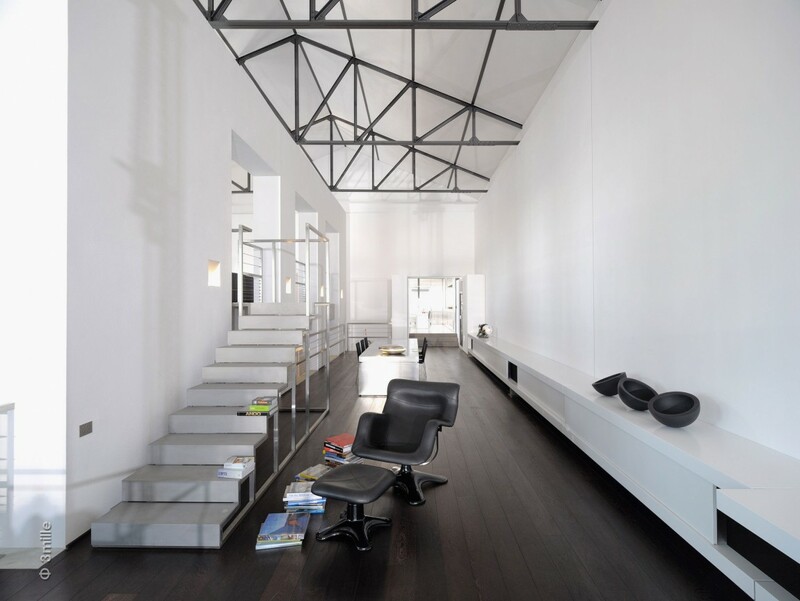 The all-white walls visually expand the space. 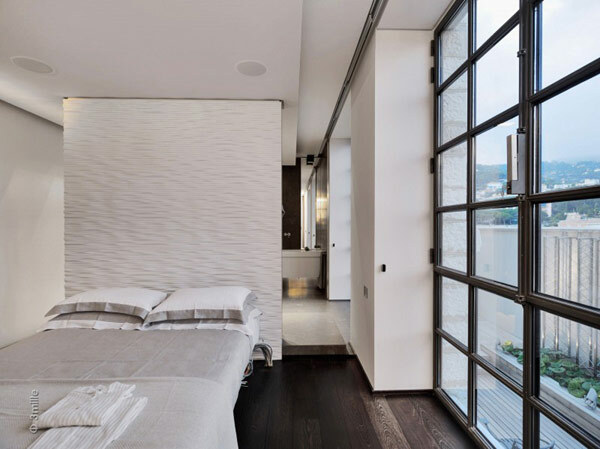 The wide windows bring lots of natural light, illuminating every corner of the home. 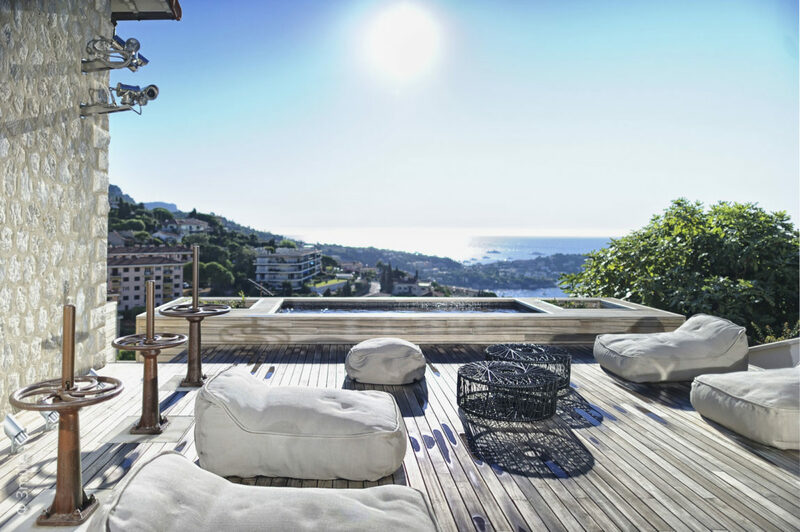 The living area offers an encompassing view of the French Riviera. 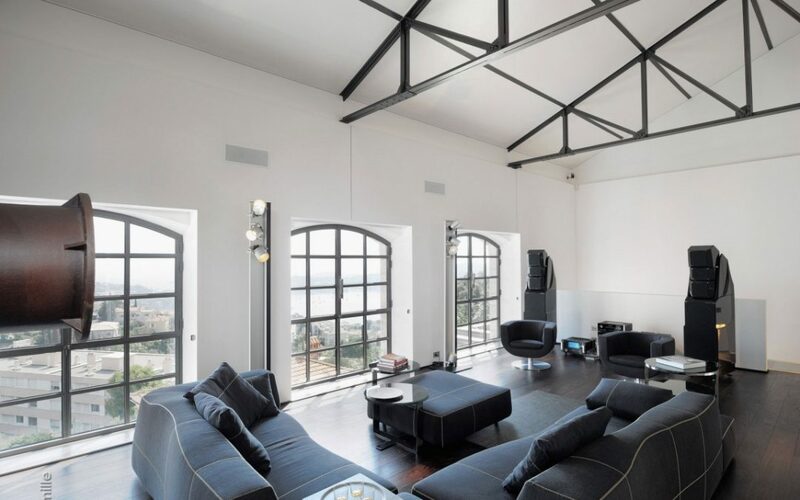 The wide windows and luxurious seating brightens the space. 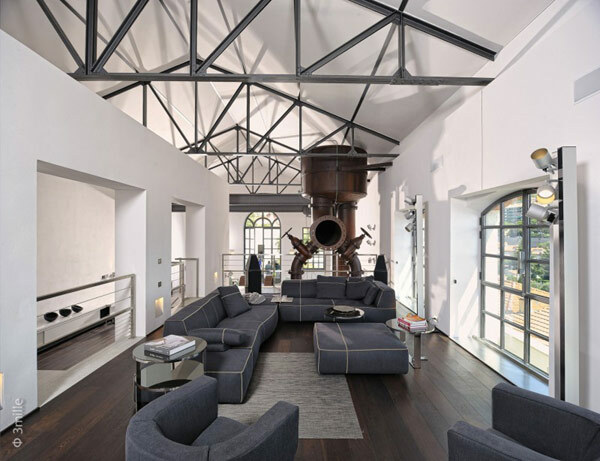 The preserved industrial elements blend seamlessly with the home interiors. The exposed beams, water pipes, and water purifying machinery create a relaxing living space. 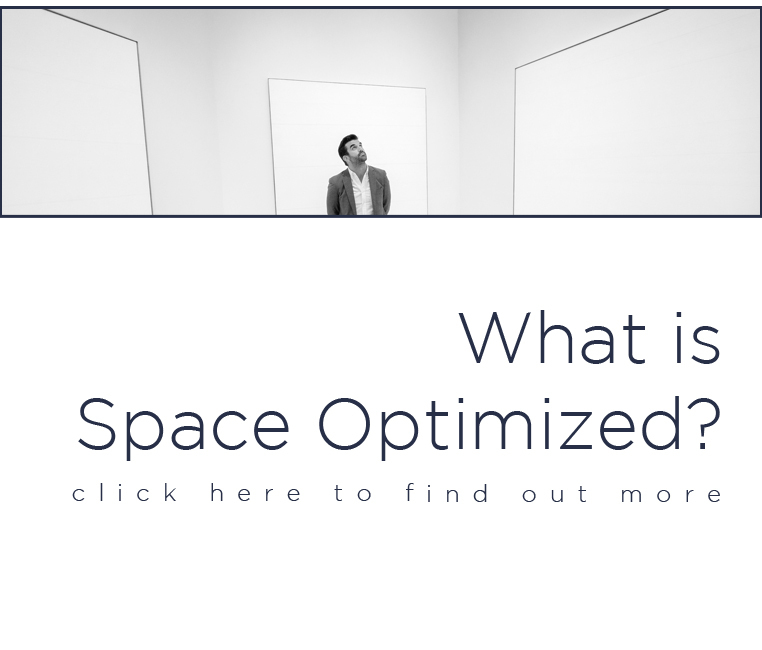 The embellishments fit the Space Optimized aesthetic to a T! 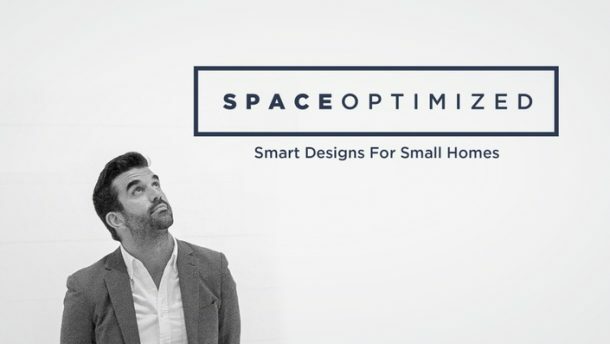 The supersized dwelling comes with a 700-square-foot bedroom! It also boasts a 1-bath detached guest apartment! 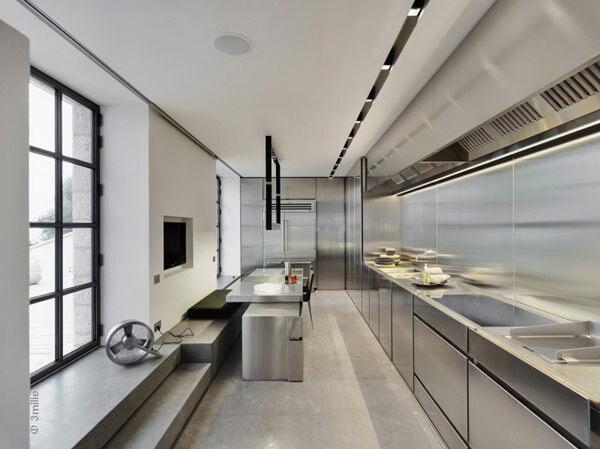 and shiny modern kitchen. Inside you’re greeted with a gorgeous heated swimming pool. 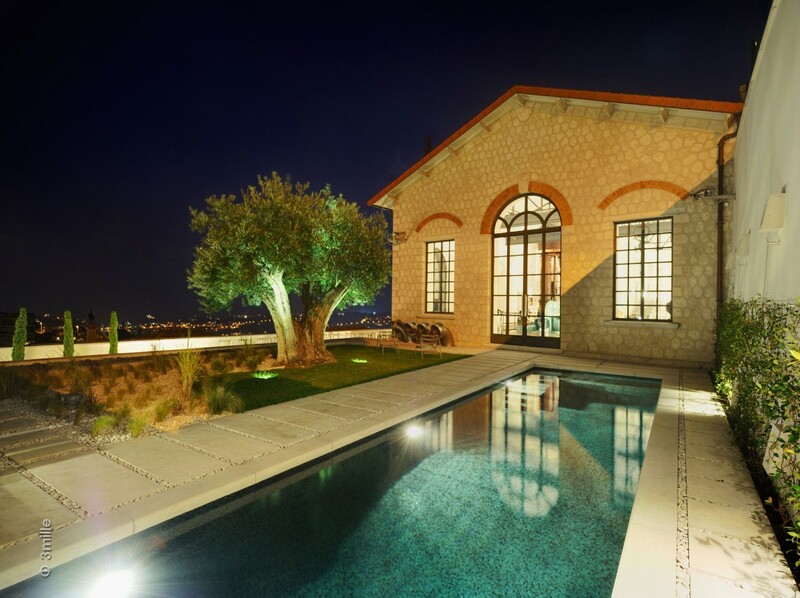 The pool overlooks the French landscapes. A decked out lounging area with a massive hot tub, a manicured front yard and an impressive 5-car garage. The property comes alive at dusk thanks to the soft indoor and outdoor lighting. And if you happen to have a pile of cash lying around, this fully-furnished pied-à-terre is also on sale!